Installing a home alarm system is a necessity for everyone who wants to be sure their possessions are protected and their house is safe. The prices for home alarm systems are no longer an excuse for not installing them because today you can find cheap home alarm systems. Choosing the right home alarm system for your house might be the complicated part of the process, but we hope the information below will help you make the right decision for the safety of your house. 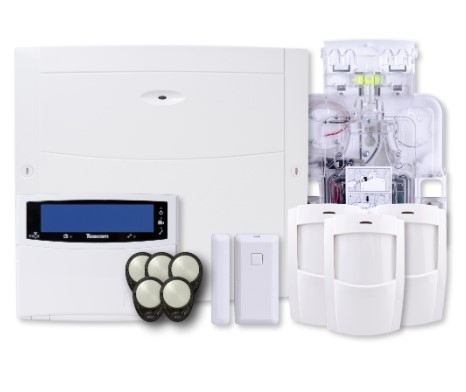 The two main categories home alarm systems are divided in are: wired and wireless plus there are the hybrid systems that can do a mixture of both. This is the traditional form of home security. The local home alarm systems come with various sensors called PIRs (Passive Infra-Red) positioned around your house. Once they sense an intruder via a change in infra red levels, they trigger the control panel to set off a loud audible alarm. The alarm will let your neighbours know that something isn't quite right on your property and, if your neighbours are sufficiently motivated, they will call the police. The sensors can be connected to doors and windows if necessary. Disadvantages: Bigger job to install, the skill is in laying the cables with the least disruption to the house. Wireless home alarm systems gained a reputation for being unreliable in the 1990’s when they were first launched. Since then they have struggled to shrug off that reputation even though they are now as reliable as wired alarm systems. 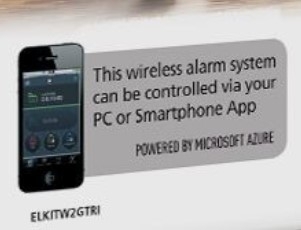 As technology has improved so the level of home alarm system offered wirelessly has also improved. Advantages: Quick installation, virtually no disruption to décor. Disadvantages: Cost of purchase, batteries need replacing periodically (Approximately every 2-3 years depending on the system and the setup). This is being mentioned as a separate paragraph but there is now such a crossover that it should not really be mentioned as though there is a separate style of system called ‘hybrid’. Many hard wired systems can now have a wireless module fitted to allow them to accept wireless sensors. Many wireless systems have zone terminals to accept hard wired cables with sensors on the end. You can see that both wired and wireless systems have a ‘hybrid’ facility included or have the capability with the right add on module. Is the System NACOSS Approved? A popular question as it’s the first question an insurance company will ask if you tell them an alarm system is fitted to the home. All of the equipment sold conforms to the latest standards to allow an approved alarm installer to fit the system to NACOSS standards. Without an approved professional installation the system will not be NACOSS approved. This is where a central station will monitor the alarm system. In the event of an alarm the central station will contact the property in question first, if an inadequate response is received they will contact the police. The system needs a professional to link it up via redcare or another secure means. Local police are tightening policies regarding response to central station monitoring, some forces are insisting on visual verification to avoid false alarms and are striking off premises that have more than 3 false alarms from their approved lists. 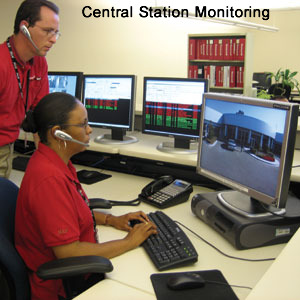 Therefore central stations monitoring should be left to the professional alarm installer. Connecting to a phone or smartphone is now straight forward. Control not only your burglar alarm system with the Texecom Connect SmartCom but also other plug in appliances around the home like your table lamps or radio to give the appearence of the home being occupied. 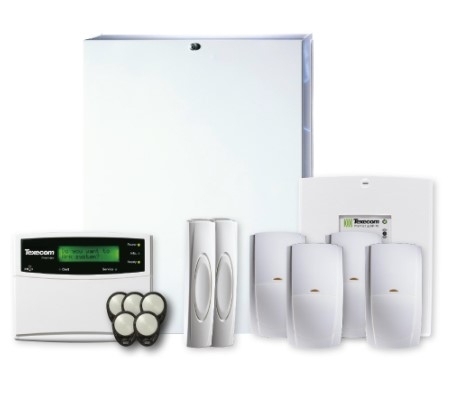 Now that you know a bit about home alarm systems, hopefully you will find it much easier to decide which type of protection you need for your house. 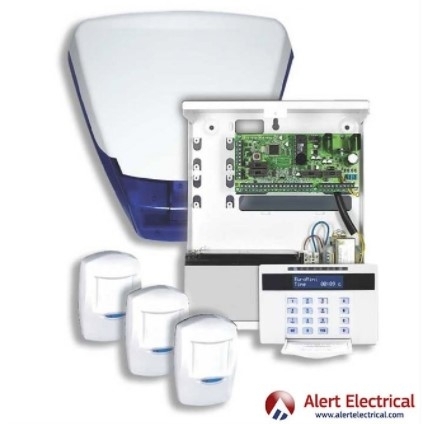 Whatever system you choose you will be more secure with an alarm system fitted. Check out the prices for security systems!